If you’ve got words or pictures, we want them! 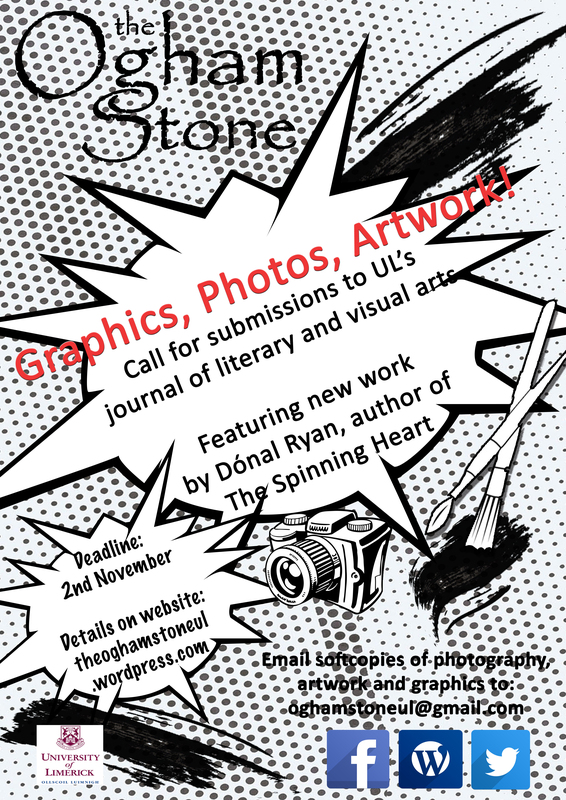 The Ogham Stone, the University of Limerick’s literary and visual arts journal invites all writers and artists to submit work for a stunning publication due out next February. M.A students in Creative Writing and M.A students in English have come together to mastermind this journal, which they promise will be cutting edge. Already they have bagged new work by Donal Ryan, author of The Spinning Heart, to feature in this edition of The Ogham Stone and Joseph O Connor will provide the forward. There is no time to delay. Closing date for submissions is 2nd November, 2014.